I have, for a few months now, be plotting out what’s next for this site. With more ways to obtain recipes than I can count, it’s coming time to rethink what I share and how I share it on this site. This is based also on the feedback and comments I receive from you. There’s been brainstorming and I’m really excited to move the site into the next phase of the journey. Nothing major, no worries! I’ll be adding videos that are not recipe based but instead will hopefully be a jumping off point for trying new ingredients. I’ll be diving back into the resource sections to update the seasonal produce, grains, and legumes while also adding the new sections (nuts/seeds and spices/herbs) I’ve had on my list for almost a year now. There will also be a few new series that I’m pretty excited about. In the end, my goal is to inspire beyond a recipe and find out ways to inspire with ingredients. (My music education background is showing- putting more emphasis on learning the whole of music and not just the fingerings for playing a specific piece of music.) Overall, I’m stoked to get started. I’m a huge fan of finding ways vegetarian meals can still be eaten with a fork and knife (it feels more “dinner” like to me!) Also, as you can probably gather, is not traditional egg salad but still has a touch of creaminess to it while the feta creates a nice tang and the sunflower seeds a bit of crunch. During the summer months, I can envision myself stuffing a roasted pepper with this mixture as well! Light grill or preheat grilling pan. 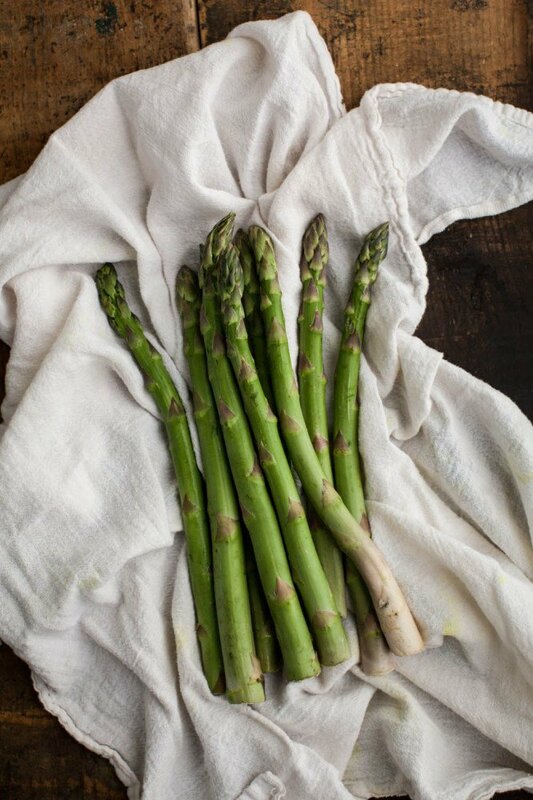 Trim ends off asparagus and toss with olive oil, salt, and pepper. Place on grill and cook, turning occasionally, until cooked and slightly charred, 8-10 minutes. Remove from grill and place on a plate. 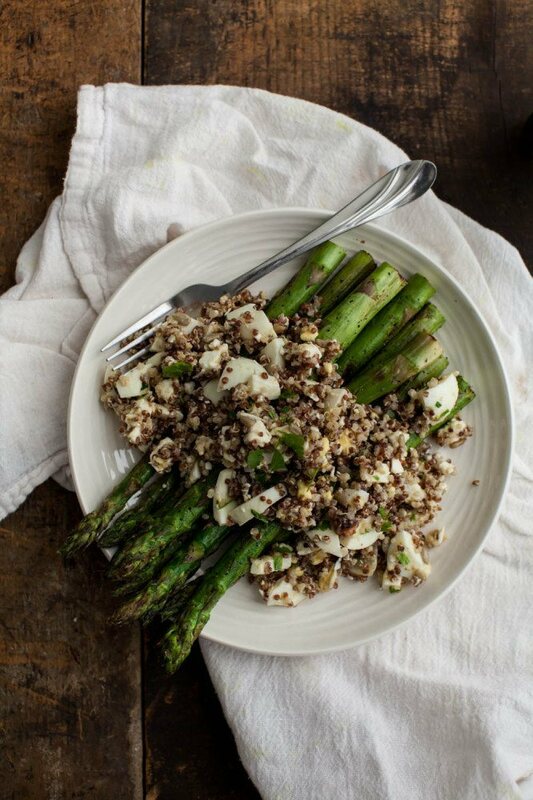 In a bowl, combine quinoa, chopped egg, parsley, feta, and sunflower seeds. In a small container with a lid, add olive oil, lemon juice, mustard, and honey. Shake until well combined, taste, and adjust flavors as desired. Drizzle dressing over the quinoa mixture and toss until everything is combined and well coated. 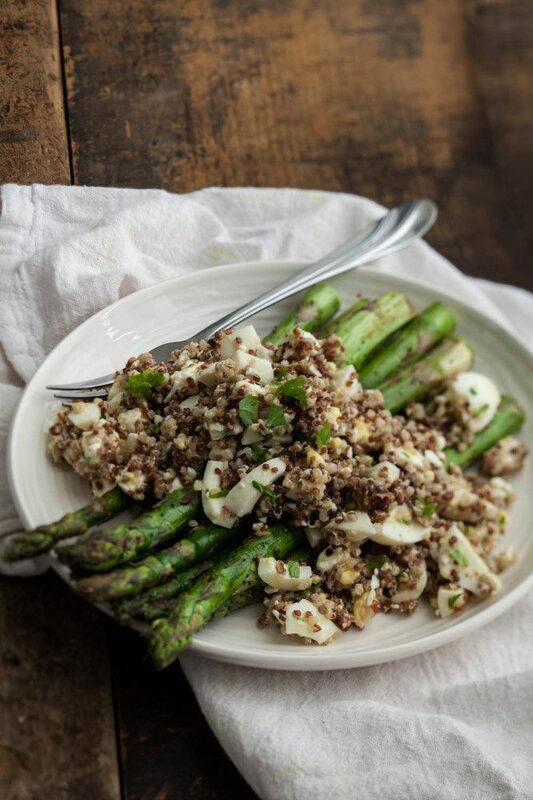 Scoop quinoa over the asparagus and serve. 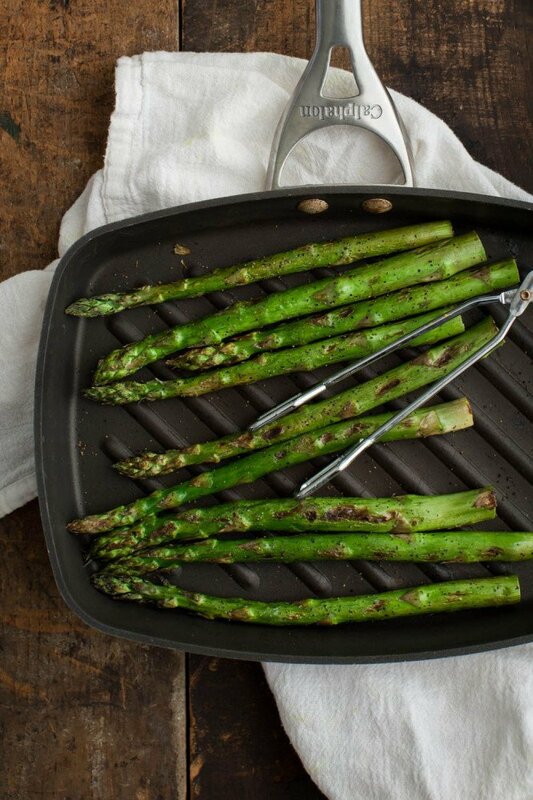 Umm this sounds like a perfect mid-week way to use this season’s freshest and best asparagus. I’ll have to grab some asap! Very excited about the changes and of course the book! Hope it is all going smoothly for you. Love the idea of adding quinoa to egg salad. Gorgeous post as usual!! And I’m so excited for the book release!! Looking forward to fun new ways to get NE recipes! I like eating dinner with a knife and a fork too. This looks lovely! I love the sounds of the new developments here on the blog – I totally get the music analogy. Can’t wait to receive your new cookbook….what a lovely simple recipe too. Thank you. This salad look super yummy! I should make it for lunch!